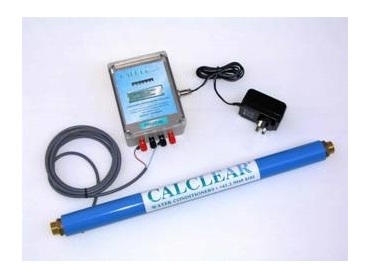 Calclear digital water conditioners change the mineral crystals in water into tiny particles. This is both a prevention and a cure for most scaling and corrosion problems. CALCLEAR water conditioners have IP65 rating. However, for external applications a housing unit is recommended and for best results they should be used on a PVC pipe. Applications for Calclear digital water conditioners include hydroponics, dairy farming, boilers, sterilising equipment, commercial kitchens, bore water, and vineyards. If needed, the Calclear Water Buddy and Digital water conditioners are also available with pre-wound pipes with ¾ inch fittings for easier installation. The Digital comes with a 600mm pre-wound pipe. They are also available with 3/4" BSB fitting prewound pipe.